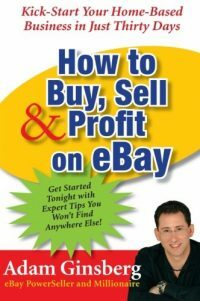 Recent earnings announcements along with this last years alteration of the core philosophy at eBay seem to have had a negative effect on many of the third party solutions providers who have built businesses upon the foundation eBay created in the late 1990's. Rumblings and rumors always abound in a industry such as this, but recently changes made at the top levels of some of the most prominent 3rd party providers seems to predict a consolidation and possibly belt tightening within the firms who revolve around and depend upon the eBay brand. It is true that some new players are entering the market with interesting solutions, software and services yet at the same time, are the executives at older and more established companies making what could be considered exit strategy moves? From the announcement of a new CEO at Infopia, Coleman Barney, which in and of itself is seen as a move towards new blood and not a barometer an industry crumbling, to the recent departure of the managing director of Frooition, a UK based eBay stores and template design company, changes at the top of several eBay centric service providers seem to be occurring at a faster rate than normal. I was quite surprised when I noted earlier today that Grenville Wheland had left Frooition and is now seeking new opportunities through LinkedIn (see Below). Grenville had been purported to be one of the financial backers of Frooition and while his skills as a start up entrepreneur were also touted, on the outside we can only wonder if his reasons for departing may have included deeper financial concerns for the future of the business model. Frooition grew very quickly into a multinational marketing powerhouse for eBay based design work and is still strong today yet they have relied upon eBay as the basis of the business strategy for what seems to be too long when branching out into eCommerce was an available avenue for expansion. My readers will know that I have worked with Frooition as a representative in the States since mid 2007, My dealing with Mr Whelan have always been cordial and above board. I am sure Frooition will notice his departure. Channel Adviser, while not changing the steadfast leader of the pack Scot Wingo, has had some major personnel cuts in recent months. As eBay has itself, a Rolodex or Blackberry full of contacts at eBay in 2007 would be suspiciously empty today. The industry that has based itself on the largess of this giant we call eBay is morphing into a new animal. Eventually changes beget changes. While we all wish the likes of Grenville Whelan and Bjorn Espenes of Infopia the best (Bjorn is now the COB), we only have to wonder... who is next? Is it possible that some of these highly placed executives see a bad wind a blowin and have chosen to diversify before the end comes? I know that even though my heart will always have a place for eBay and I still promote the site and services surrounding its capabailities, I myself have diversified and are very glad that I did. I no longer depend completely upon eBay as a seller or a service provider. Having options for myself and my clients is what I am all about now. My thoughts would be that Grenville Wheland, whom you yourself state “his skills as a start up entrepreneur were also touted” could simply be leaving because the company has left the start-up phase and is no longer of interest? “Serial Entrepreneurs” I believe is what they are called — people of great talent who enjoy the challenge and thrill of starting a new venture, but fade quickly when it boils down to day-to-day operations. 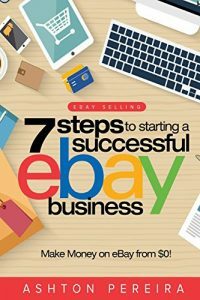 The online sales environment is indeed changing, and the brightest eBay sellers have seen the light and are already selling on multiple venues. eBay’s policies may have hastened this trend, but I’m not so sure I’d give them credit for starting it. There will always be those who complain at every change in their lives… it’s when they stop complaining and start DOING that real change is effected. When sellers stopped ‘just talking’ and started actually walking, that’s when the environment really started to change. Maturity eventually comes to all, and it’s usually a good thing. With the advances in search engines and search engine submissions, perhaps a monolithic site like eBay is no longer needed for shoppers to best find what they are looking for. Perhaps also, had eBay recognized it’s true position betwixt and between customers (buyers) and clients (sellers), just perhaps this change in the marketplace would not have been needed. Frooition has faced many redundancies in the recent 18 months and the economic downturn has forced many companies to re-think their financial placement. I hope for my clients this does not spell the end of froosville as they will all loose their paid for design. 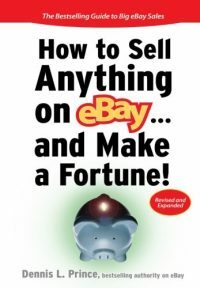 Companies that structured themselves soley around eBay are feeling the same economic effects that eBay itself is feeling. eCommerce marketers that used the eBay venue as their sole outlet continue to see declining sales and continually increasing fees while competing with off-site advertisers. This has led to these business people making hard choices about where they will continue to sell their product. Ecommerce marketers need to take a page out of the eBay playbook. eBay has diversified and so must we. You could have dropped me a line and I would kindly have explained that I have taken a step back from the business as planned 2.5 years ago. For the record, I am still a significant shareholder and director of Frooition and continue to support the business, but invited and encouraged Phillip Molloy to take over the day to day running of the business and to take it to the next level. I believe I enabled Frooition to transition from a start-up business with great ideas and enthusiasm into a viable, growing and profitable business that has established itself as the world leader in eBay design, and has a fantastic future ahead of itself. My original plan when investing in the business in July 2006 was to also invest two years of my time and energy to make Frooition a world leading design company – after two and a half years of commuting 4 hours per day, I feel I have delivered that target and have been very fortunate in attracting Phillip into the business as both a fellow investor and Managing Director going forward. We share the same vision and ideals and know that Frooition will go and grow from strength to strength. I’ll continue to be involved for the duration and look forward to meeting up with you again soon. “Grenville Whelan is not only a significant investor in Frooition.com and continues to support the business but he has also managed the business to it’s current position of no. 1 in the eBay advanced design space. Grenville has decided to take a lesser role in the business for 2 simple reasons. 1. He has had some personal issues to deal with 2. His Partner Phillip Molloy has volunteered to take over the role of “president and ceo” to take the business to the next level of growth both in the USA the UK and worldwide. A major investor in the business is Phillip Molloy who has been involved with Frooiton.com for the last 3 years but very much in the background supporting Grenville and the team. Phillip agreed to take over from Grenville starting Jan 2009 back in August last year – so the handover has been very controlled and planned. Phillip Molloy brings with him a wealth of experience from a variety of UK and US based businesses. Phillip is a well known UK entrepreneur who has started 3 of his own businesses from scratch and grown them to multi-million industry leading and profitable organizations. In addition Phillip has been an executive director with a number of successful PLC’s to add to his corporate CV. Phillip is an individual with a proven track record as a business angel, mentor and investor. I suppose I was confused by the statements on Gren’s LinkedIn profile “Looking for a new IT Challenge” and “Formerly with Frooition”. It was also a shock to me, but this was published in the public domain long before I picked it up and it was published by Gren himself on his LinkedIn profile. Who am I to doubt what was published there? As to Frootion, we are only concerned that as Ebay certified designers they will charge for the mandatory ebay upgrade. At first I THOUGHT aswas was exaggerating when they said Frooition is not in compliance. Then I received this from my account manager when I asked why Frooition was charging us for the design upgrade when they were supposed to be compliant with design? So far they have not been too keen on it. Frankly, I love Frooition’s Ebay design for my store. I just feel that we pay way to much for photos and other add ons that others provide for free once we are “roped in” When they first did my design they sent me the html for it and told me it was mine. From what I have read here I guess this is not the case. Hopefully they will not go under and instead try to make customers happy since if custmoers leave the add ons won’t matter. I am glad to hear that Gren is still invested but who knows what is true? It is just like Hollywood tabloids out there to us. We are more concerned with their living up to their ebay design certification terms and not putting the costs for their errors on the backs of Ebay sellers. Hopefully they will do the right thing and then everyone will continue to renew. this is what ebay said re the certified designer question and the charges for the store. brining this to Frooition’s atention….